With almost 50 years of fire service experience, Bob Durfee understands the importance of planning and preparedness. 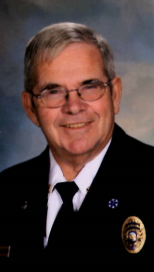 After retiring as Chief of the Samoa Peninsula Fire District, west of Eureka, Bob was diagnosed with Alzheimer’s. In his new role as a volunteer advocate,Bob continues his commitment to planning and preparedness. On February 5, Bob and Ellen, his wife of 54 years, will meet with legislators in Sacramento at the Alzheimer’s Association Advocacy Day. When he first found out he had Alzheimer’s, Bob was frightened and worried about being a burden to his family. 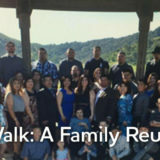 Soon after being diagnosed, he attended the Humboldt County Walk to End Alzheimer’s. 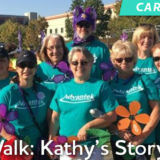 At the Walk, Bob met Ruth Gay, Chief Public Policy Officer of the Alzheimer’s Association, Northern California and Northern Nevada Chapter. Ruth connected Bob and Ellen with Alzheimer’s Association early stage programs and support services. 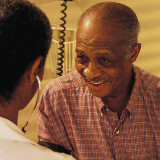 Bob participates in the Alzheimer’s Association peer-to-peer support program. 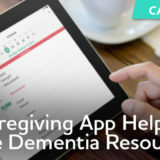 On a monthly basis, he receives a call from Chris, a volunteer who is also living with Alzheimer’s. They can talk with each other about things that they might not feel comfortable sharing with others. Bob faces some challenges as he lives with Alzheimer’s. He can no longer drive, which is difficult in a rural community lacking public transportation. He gets frustrated when he can’t remember where items belong in the kitchen that he built. 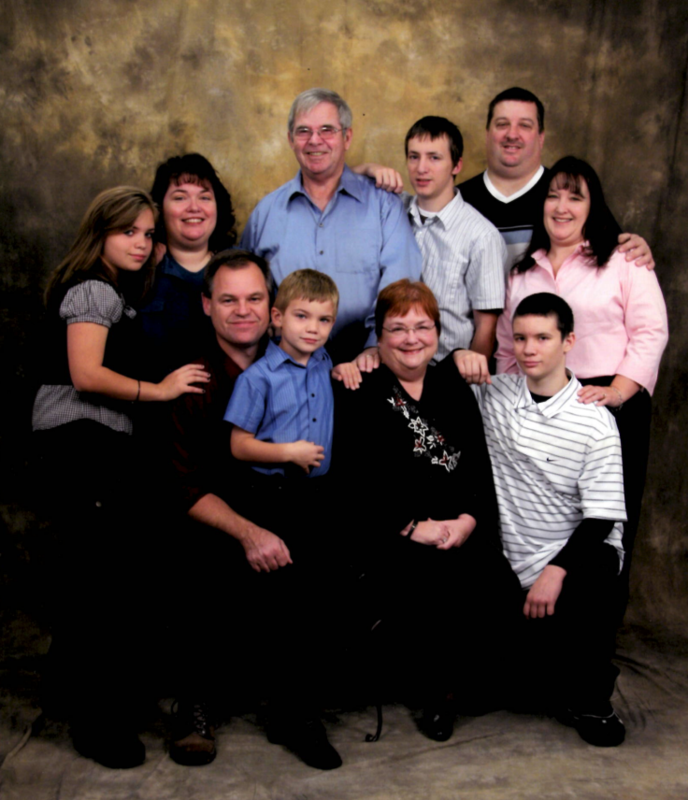 Their family has rallied around Bob and Ellen. They have adult grandchildren who are now living with them and helping out, along with other family members who provide support. Ellen and Bob signed up to volunteer as public policy advocates. In June, Bob and Ellen had their first chance to advocate. They presented to Congressman Jared Huffman, at an Alzheimer’s Association event in Eureka. The event was covered by the local media. The next day, their paper delivery person commented that Bob and Ellen were on the front page. Bob and Ellen appreciate how supportive Congressman Huffman has been of those in their community who are affected by Alzheimer’s disease. He voted for increases in federal Alzheimer’s research funding and for the BOLD Infrastructure for Alzheimer’s Act. 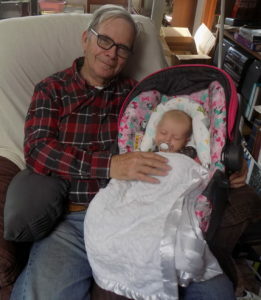 Next month, Bob and Ellen will be making the long trip to Sacramento to attend the California Advocacy Day. They are excited to have the chance to be at the Capitol with over 250 other advocates. Bob speaks about Alzheimer’s disease to community groups. 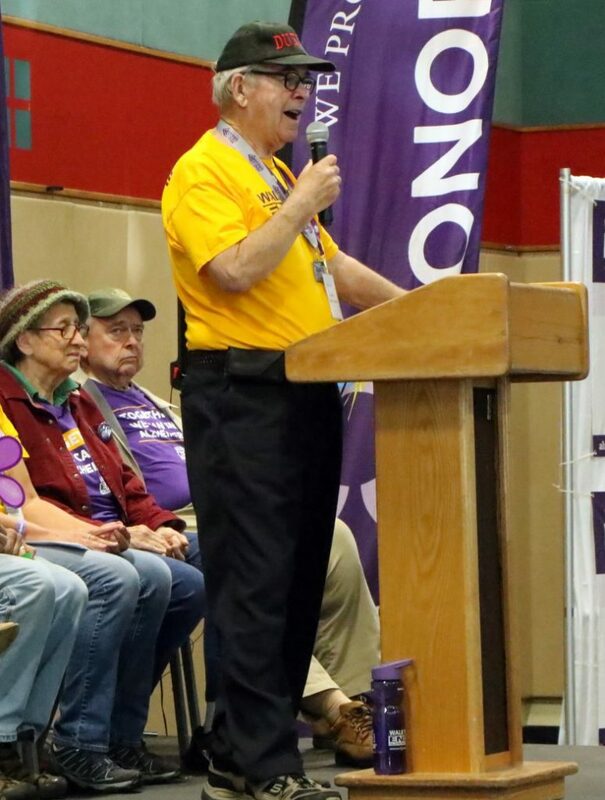 He also shared his story at the 2018 Humboldt County Walk to End Alzheimer’s. When he finished speaking at the Walk, Bob received a standing ovation and sustained applause. Friends and family in attendance reached out to Ellen and Bob to share how they were impacted by his speech. Ellen has seen the benefits that Bob gets from telling his story. “Speaking in front of his peers and encouraging them to participate has been really wonderful for him,” she shared. 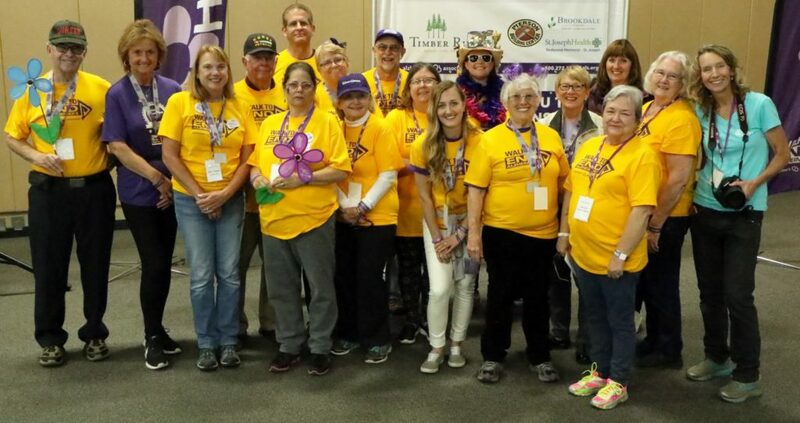 Bob and Ellen are members of the Walk to End Alzheimer’s planning committee. Being part of a small community, they already knew several of the other committee members. It is important for legislators and their staff to meet more people who are living with Alzheimer’s disease and their care partners. 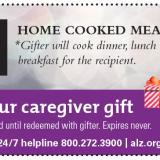 It helps them understand the disease and see the need to work on Alzheimer’s policy. Sometimes people are afraid that they may lose their place or forget what they were saying. When that happens to Bob, he just says “Hang on a minute, Alzheimer’s strikes again.” It helps others understand and helps Bob get back on track. Advocacy Forum in Washington, D.C.